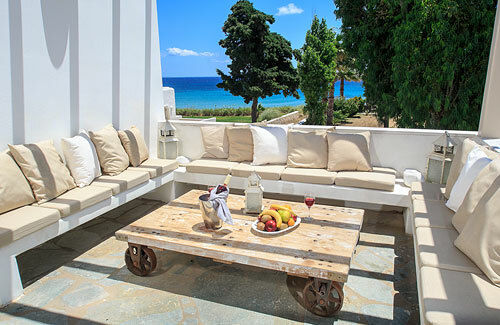 Luxury accommodation on the beach. 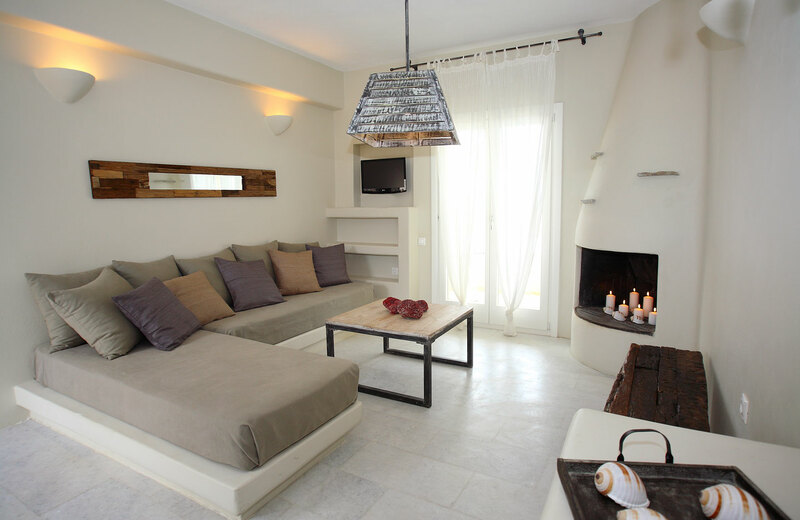 401 Sea front Maisonette with Interior Jacuzzi and Panoramic Sea View located just 10 meters away from Boudari Beach. 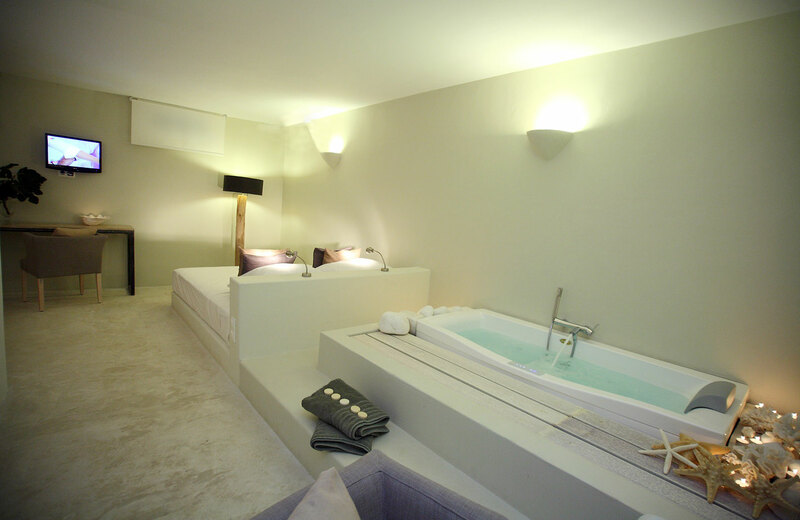 Based on the ground floor – semi floored features a bedroom with double bed and Jacuzzi, a second bedroom with 2 built sofa – beds, bathroom with shower and a separate wc. 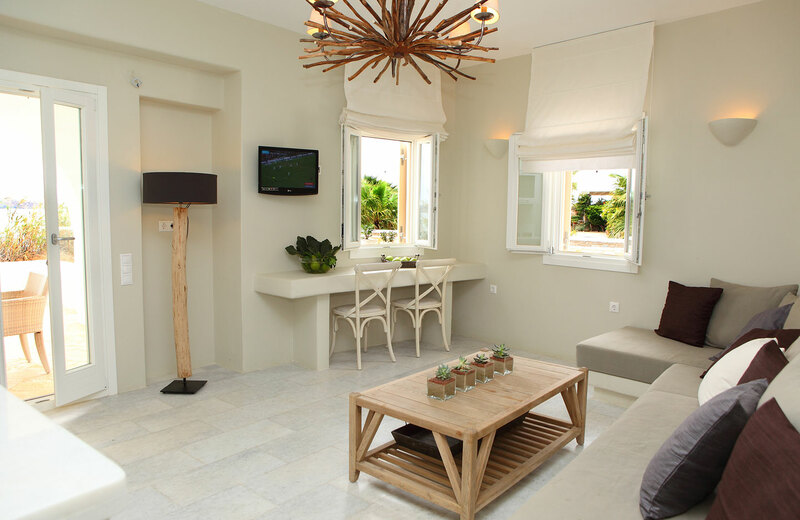 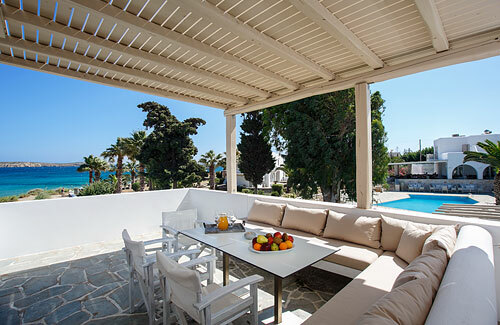 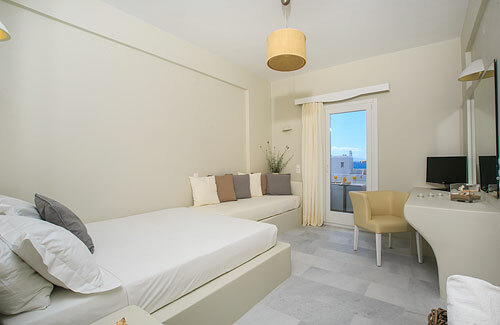 The living room offers another built sofa-bed and a private veranda with Aegean Sea View. 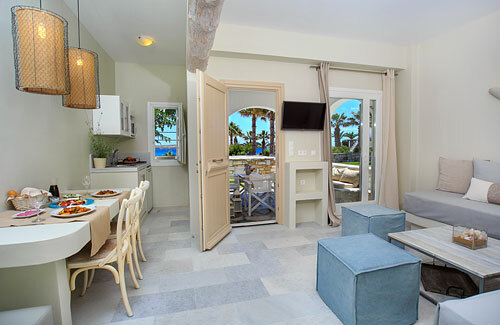 Amenities include a fridge, basic utensils with microwave, A/C, satellite TV, safe, direct dial phone, buffet breakfast and towels for the pool.